check out the regional forum for Connecticut - meet up with some of the people local to you - they'll know better than anyone. Just keep it legal and always wheel with at least one other vehicle. There arent really any anymore. Your best bet would be to join a club that has access to private land. 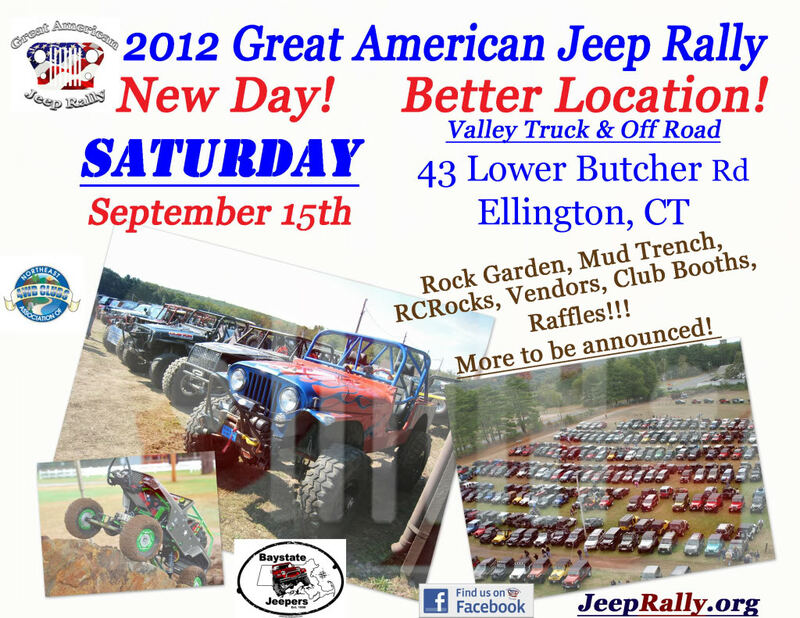 check out the jeep rally this saturday. plenty of clubs have tents setup and are always looking for good people to join their organizations. Last edited by ktmracer419; 09-12-2012 at 10:12 AM. Please help. No power then no start.